The division between Europe and Asia might be better described as a meeting point; a meeting point that is multiple, and as Durham’s observation points to, always already shifting and mutable. South of Russia and bordering China, India, Pakistan, Afghanistan and Mongolia, lay the Central Asian countries of Kazakhstan, Kyrgyzstan and Uzbekistan. Occupied in turn by China and Russia, with the collapse of the Soviet Union in 1991 they are again defining themselves as sovereign nations. Central Asia is still perhaps an imagined place, largely unrepresented, and for the most part, unknown. Even its borders are disputed. The former Soviet definition only recognized Uzbekistan, Kyrgyzstan, Turkmenistan and Tajikistan, while UNESCO expands its reach to include southern Russia, western China, Mongolia, northern India, Afghanistan, and Kazakhstan.1 In curator Viktor Misiano’s eyes it might just be the last territory to be represented in the global art scene. If the temperature in your home is low, you can use a metal can with stones, put on a gas or electric stone in advance, as a heating system. To prevent the electric power meter from rotating too fast, you can fix its disk with a planed match or a piece of photo-film. For us, the most accessible healthcare is urine. Everybody has it and it is for free. Wounds moistened with it heal and close more rapidly. According to the theory of Paul Bragg, urine administered internally is capable of healing many internal wound and rejuvenating the organism. If the knees on your trousers or tights are worn out, you can easily make shorts of underwear pants from them; all you have to do is to cut the old bottom off. The pieces of old fabric can be used as insulant for the same underwear. The idea of a nation gaining independence inevitably embodies desire. Projected from within and outside its borders, there is the potential to create new identities, retell histories and redefine the present. In describing art production in the former Soviet nations since 1991, Misiano writes that the search for identity was the first problem of focus for Central Asian art. 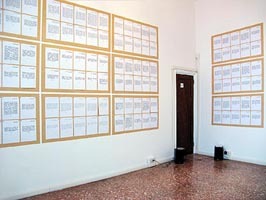 “Mytho-poetic narrative in forms of installation, and later video, started to be actively used by the artists of various generations … however, while appealing to national-ethnic archetypes: step’, nomadic and Sufi traditions, etc., sacrifice, pagan rites, this narrative refused any pretenc[e] to be authentic but became a construct, it was created and immediately destroyed.”4 As a meeting point there can be no central narrative in Central Asia. Kyrgyz, Kazakhs, Uzbeks, Tajiks, Russian, Ukrainian, German, Koreans and Chechens among others all occupy this territory, each with their own traditions, histories and religious practices. “National myth,” Misiano continues, “is a construct of not only the artists but also of a new political power…” But this is not to say that these are countries without a past. Playing on two television monitors facing inwards from adjacent corners of one of the pavilion’s larger rooms were videos. At first, the sounds and images were hard to identify. Muffled breathing and what appeared to be a tangle of torsos, thighs, arms and sleek fur were all that was visible until the camera pulled away revealing a man and a woman sitting naked atop a moving horse. The videos were capturing parts one and two of a performance reenacting an ancient nomadic ritual (an aspect of which was making love on horseback). One understanding of a reenactment is that it is an attempt to come to terms with the past. This action was different; it was not so much a coming to terms with the past, but a recognition of its very existence. Not necessarily trying to assert their identity as descendents of indigenous nomadic peoples, the artists put forth a gesture that was as exploratory as it was declarative, one that exposed the sometime porous foundations that identity is built upon. Aside from survival instructions and nomadic rituals, the artists in the pavilion looked to myths and shamanism as departure points, and again, as exploratory sites for destruction and creation. 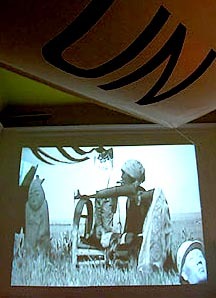 In one installation in a darkened room, a black and white video was projected on the far wall under the overhanging billow of a UN flag suspended from the ceiling. With regards to action, nothing much happens in the video, but that doesn’t lessen its effect. Centered in the frame is a makeshift basinet. A small child, wearing a woven hat and covered with a small blanket is being rocked while a slight breeze rustles the short dry grass of the steppe. The place has a sense of the unheimlich (the uncanny, or translated literally, the un-homely) casting an almost acute awareness that this is not a home but a temporary settlement – one where it would be wise to watch your back. Looking up reveals that the crib’s handle is in fact a machine gun, carved from wood, pointing beyond the left of the frame. To its left is an ancient Asian statue. As for the shaman, despite his solidity and caring he is also a strategic zone of vacuity, a palette of imageric possibility. Where he does predominantly swim into focus, however, at least in the eyes of the civilized, is as the alternating, composite, colonially created image of the wild man, bestial and superhuman, devil and god – thus reinforcing the montage technique and in a way its very fount. One of the central tenets of postcolonial theory in the 1960s was to reveal that the colonialist production of alterity cannot be defeated by simply revealing the artificiality of the identities and differences created in the false hope of arriving directly at an affirmation of the authentic universality of humanity. 9 “The only possible strategy” in the eyes of these authors “was one of reversal or inversion of the colonialist logic itself.” 10 Instead of reversal or inversion these artists are creating a new space, one like the history of Central Asia itself, is a meeting point. Their work is a space where the contradictions of society are acted out, and the image of truth, as Taussig points out, becomes an experiment. Sergey Maslov, Yelena Vorobyevam, Viktor Vorobyev, Rustam Khalfin, Julia Tikhonova, Almagul Menlibayeva, Erbossyn Meldibekov, Abilsaid Atabekov, Muratbek Djoumaliev, Gulnara Kasmalieva, Roman Maskalev, Maxim Boronilov, Alexander Nikolaev, Vyacheslav Akhunov, Sergey Tychina. Candice Hopkins (Metis/Tlingit) is a curator and an artist. She has worked for Aboriginal organisations nationally and internationally and has been a project director for the Treaty 8 Tribal Association responsible for the development of a new Cultural and Interpretative Centre. She received her Master of Arts in curatorial studies in contemporary culture from the Center for Curatorial Studies at Bard College, where she attended on a scholarship from the National Aboriginal Achievement Foundation. She has written and presented on Aboriginal and contemporary art and curated exhibitions featuring the work of distinguished artists such as Faye HeavyShield, Elaine Reichek, Jimmie Durham and David Hammons. Hopkins is currently the Aboriginal curatorial resident at the Walter Phillips Gallery. 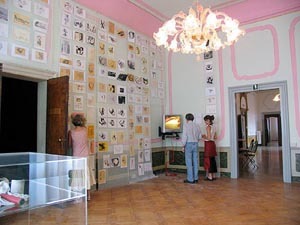 She curated the exhibit A Question of Place at the Walter Phillips Gallery, April 3 - May 23, 2004. 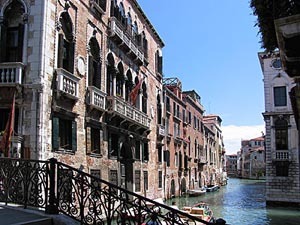 2 The pavilion, fittingly, was hard to find and located outside of the central exhibition areas in a vast multi-room building in the centre of Venice. More of an archive than a national exhibition, it contained works by 15 artists not including those in the three curated video programs. 3 See pages 132 to 134 of Michael Hardt and Antonio Negri’s Empire (Cambridge: Harvard University Press, 2001). 4 Quote taken from Art from Central Asia: A Contemporary Archive, press release July, 2005. Italics mine. 5 Historically, the most important overland trade route in the Western world, the Silk Road was not one road but a multitude of routes, which passed through Central Asia and then branched out to reach present-day Eastern Europe, India, Italy, Egypt and North Africa. In the late 15th century with the discovery of efficient water routes the Silk Road lost its importance. 6 An early example of this is Greco-Buddhist art developed in Central Asia over 1000 years between the invasions of Alexander The Great and fourth century BCE. This hybrid of Eastern and western Aesthetic sensibilities is considered “a unique example of cultural syncretism … which has been achieved by no other art to such a degree.” http://en.wikipedia.org/wiki/Silk_road. 7 Micheal Taussig, Shamanism, Colonialism, and the Wild Man: A Study in Terror and Healing (Chicago and London, The University of Chicago Press, 1987) 443. 8 Taussig, 444. Italics mine. 10 Hardt and Negri, 130.